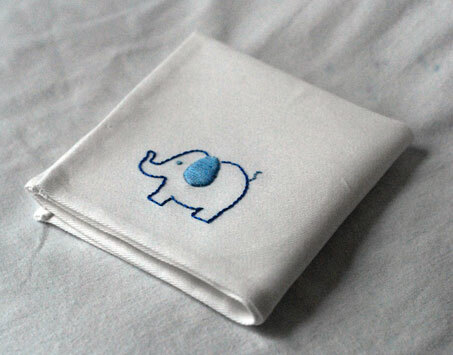 ‘Zakka’ is a term I have recently come across. It is a Japanese word and refers to something that improves your home, life and outlook. Sounds good, doesn’t it! Generally, it seems to refer to household items. 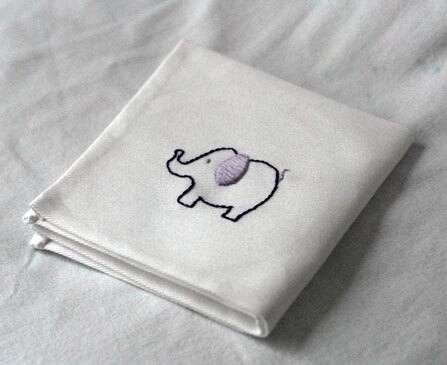 There has been a big movement recently in zakka handicraft – sewing, knitting, crochet, and so on. 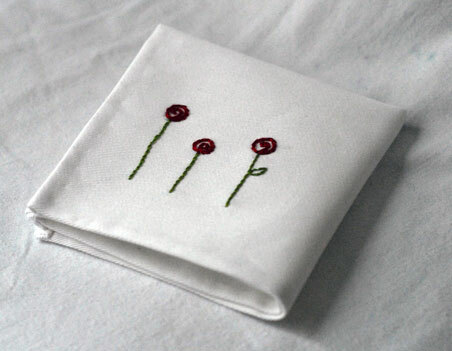 I got a book in Hodges Figgis a while ago called Zakka Sewing. 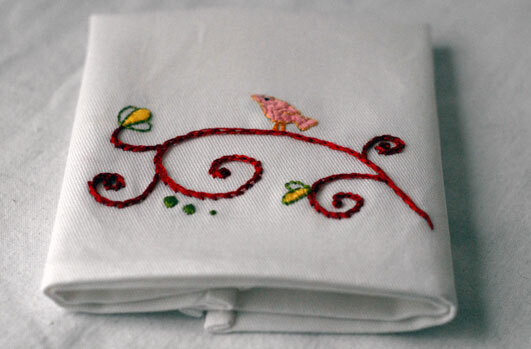 There is a strong emphasis on using natural materials such as linen, cotton and wool. Here is a small house-shaped coaster I made up over the weekend. The little door is actually a pocket for your spoon. Last night I finished up a small bag. It is described as a bento-box bag (lunchbox bag) in the book but I got this great craft-themed ribbon in Rubanesque during the week and decided to make it a project bag. 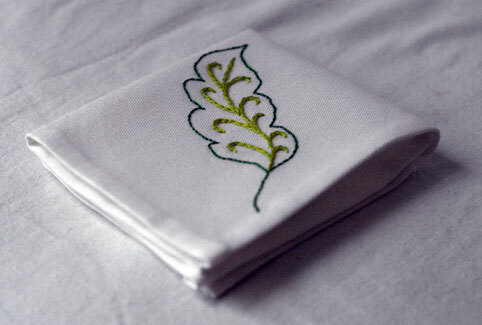 I have discovered that I really enjoy working with linen! The metre I got in Murphy Sheehy’s a while ago is really going the distance – I’ve only used about a third of it so far. It’s Knit in Public Day! World Wide Knit in Public Day, to be exact! How exciting! The Dublin city centre event is kicking off at 11am on the balcony beside the lift in the Powerscourt Centre, right beside This is Knit. 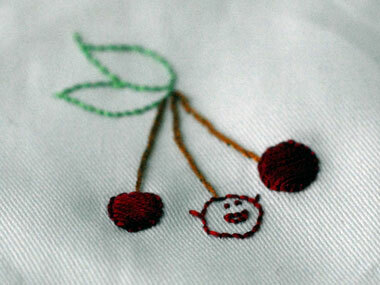 People are welcome to come and knit, crochet, embroider, cross-stitch, spin… whatever they like…. until 2pm. After that, I think the plan is, weather permitting, to move on to the band stand in Stephen’s Green. I am filling in in the shop for Lisa and Jacqui because they’re at TNNA in Ohio this weekend (big exciting trade show for retailers). So if you’re in the neighbourhood, drop in and say hi! 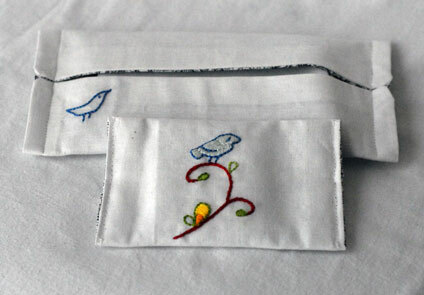 Over the last day or two I have been thinking up the best way to sew a cozy for my hankies. This is what I came up with. What I like about these is that they’re quick projects to finish. My personal favourite! Reverse here. I imagine there are a lot of people blowing their noses today, considering the drastic ten degree drop in temperature we have experienced here in the last 24 hours! To them, I offer this. 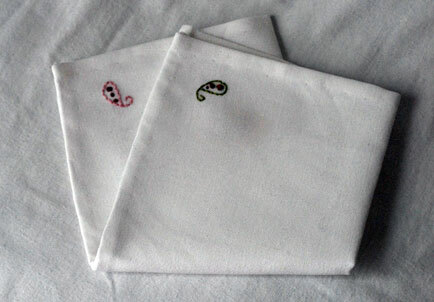 I had planned on making tea towels out of my cotton – and I probably still will – but handsewn handkerchiefs just sounded so much more attractive. 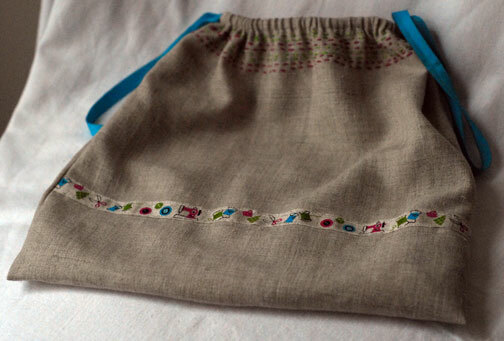 This was my first attempt and despite all appearances, my hems are quite wonky. This morning’s efforts were much more satisfactory. 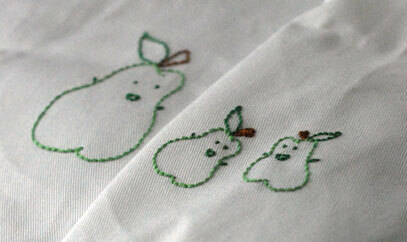 The motif is from Doodle Stitching and was originally intended for a quilted lap blanket, if I remember correctly. 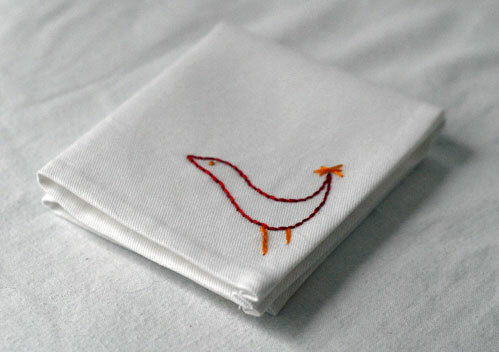 I suppose some people may ask, why would you want to make your own handkerchiefs? 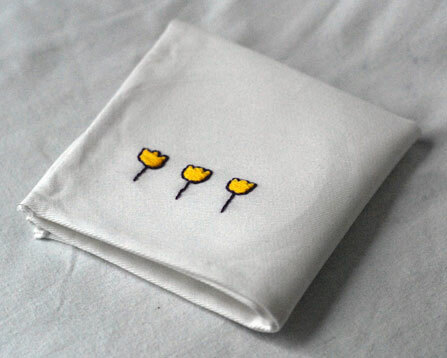 To them I say, usually when you need a handkerchief, you need a bit of cheering up, too! 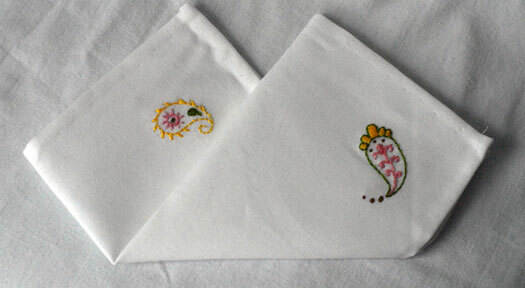 I have a few other motifs lined up for more hankies. 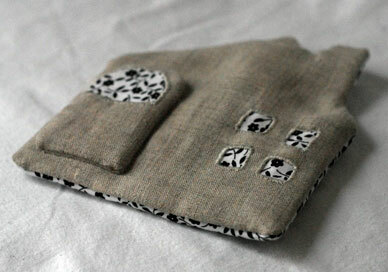 The problem now is that, because I have made more than one, surely they warrant a cozy of some sort?